Gordon B. Rich, son of Clifford Lewis and Addie Elmira (Lowry) Rich, was born October 2, 1919 in Newell, SD. As a child he moved with his family to Yankton, SD and grew up there. 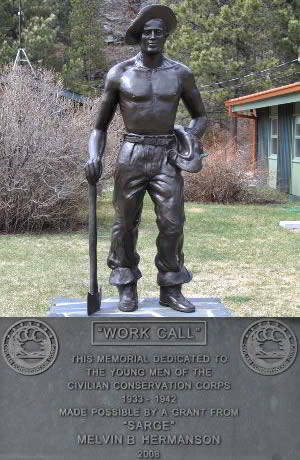 He graduated from Yankton High School and attended Yankton College prior to serving with the Civilian Conservation Corps at Wind Cave in the Black Hills of South Dakota. Gordon enlisted in the U.S. Navy on April 6, 1942 at Yankton and served as an Aviation Radioman on several vessels during WWII. 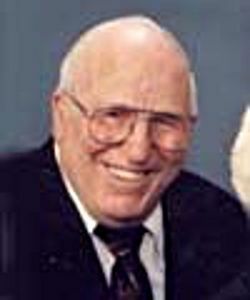 Following his honorable discharge on December 23, 1945 at Minneapolis, MN, Gordon and his brothers established the Rich Brothers Co.
Gordon was united in marriage with Selma Sundem in Hills, MN on July 13, 1947. The couple made their home in Sioux Falls, SD. Following his retirement in 1982, Gordon worked part-time at Kohls Department Store for a short time. Gordon was a member of East Side Lutheran Church. He was past-Grand Counselor for United Commercial Travelers and a member of the C.C.C. Alumni group. Gordon was also a life-member and past-chaplain of John M. Bliss VFW Post 628 and a member of Sioux Falls American Legion Post #15. Grateful for having shared his life are his wife, Selma; six children, Sharyl Rich, Overland Park, KS, James Rich, Sioux Falls, SD, Steven Rich and his wife, Deb, Rapid City, SD, Jerry Rich, Sioux Falls, SD, Kristine Clausen and her husband, Eric, Overland Park, KS, Kevin Rich and his wife, Laurie, Sioux Falls, SD; 12 grandchildren; three great-grandchildren; and a host of other relatives and friends. Gordon was preceded in death by a son, Brian; his parents; three brothers, Glenn, Lyle, Robert; and two sisters, Claire Rich and Mary Oines.